FOR IMMEDIATE RELEASE—May 14, 2012—ANN ARBOR, MI—Logic Solutions, Inc. acquired Quantum Compliance Systems, for whom Logic served as a technology partner for more than a decade. Quantum Compliance, as the company will now be called, develops software that embeds sustainable Environmental, Health, and Safety (EHS) practices into a company’s daily operations. Their tools collect and analyze procedural and business systems data to generate practical, easy-to-understand EHS performance reports. Designed to quickly adapt to the ever changing regulatory environment and evolving business and technology practices, Quantum Compliance’s software solutions provide management teams assurance that EHS records and filings are consistent with other compliance and audit reports issued by the company. These tools are applicable to a wide range of business and industries, ranging from firms who operate small manufacturing shops to multinational conglomerates. In addition to its own company rebranding, Quantum Compliance will introduce a redesigned web-based version of its software, beginning with the release of the Task Management platform. Clients can expect a similar work process with a vastly improved user experience, look and feel. Along with enhancements to existing software, Quantum Compliance will provide customers a mobile application for task management. Logic has retained Quantum Compliance’s existing team of experts, assuring seamless continuity and unparalleled support for customers. All contact information remains the same. Founded in 1995, Logic Solutions, Inc. is a privately held minority-owned corporation with headquarters in Ann Arbor, Michigan, and offices in California and China. Logic provides technology solutions and services, including custom mobile strategy and application development, web applications, and comprehensive websites. Logic’s development expertise is evidenced by its impressive portfolio of technologically sophisticated B2B web and mobile apps developed for companies in a wide array of diverse industries. More information is available athttps://www.logicsolutions.com. Since 1986 Quantum Compliance has helped corporations increase productivity and profit, using information technology to comply with EHS regulations. 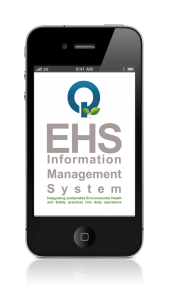 Our software embeds sustainable Environmental, Health, and Safety (EHS) practices into a company’s daily operations. These tools collect and analyze procedural and business systems data to generate practical, easy-to-understand EHS performance reports. For more information, please visit http://www.usequantum.com.